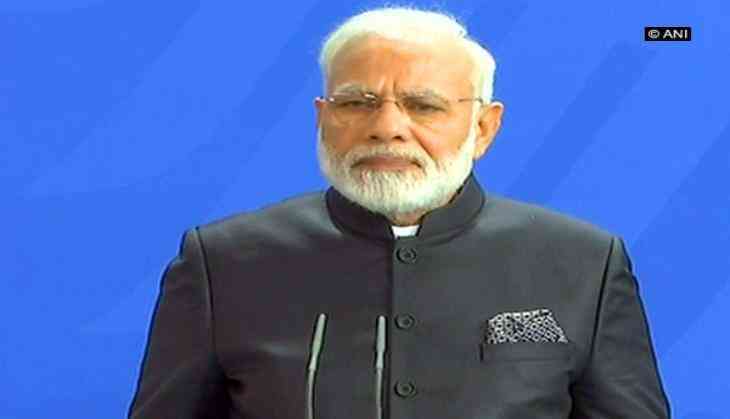 Condoling the 'heart-rending' bus accident in Uttar Pradesh's Bareilly district, Prime Minister Narendra Modi on 5 June announced an ex-gratia of Rs. two lakh to the next of kin of those killed. "The bus accident in UP's Bareilly is heart-rending. I condole the loss of lives. I pray that those injured recover at the earliest," Prime Minister Modi said. "Rs. 2 lakhs from PMNRF for the next of kin of those killed in the accident in Bareilly, UP has been announced by PM @narendramodi. Rs. 50,000 will be given to those seriously injured in the accident in Bareilly, Uttar Pradesh," the Prime Minister's Office tweeted. The death toll rose to 22 this morning in a truck-bus collision in Bareilly. A truck collided with a roadways bus on Bada Bypass at round about 2:00 a.m. Both the vehicles caught fire on colliding. A total of thirty-seven passengers were boarded on the bus when the accident took place. The injured have been taken to the district hospital. The doctors believe that death toll is likely to increase. "The bodies were burnt outright to an extent that it is arduous to figure out the gender of the corpses," CFM District hospital, Dr. B.C. Yadav told ANI. The bus belonging to Gond depot was commuting to Uttar Pradesh's Bahraich from Delhi.